The National 4-H Council's mission is to advance the 4-H youth development movement to build a world in which youth and adults learn, grow, and work together as catalysts for positive change. 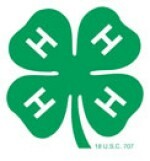 Council partners with 4-H at all levels national, state and local. National 4-H Council is governed by its own Board of Trustees and provides its annual report online. Council provides a variety of careers for people who are interested in making a difference in the lives of young people.